Sometimes when you connect to the remote machine using a remote desktop connection you might get blue or black bars, stripes, squares or boxes on the white spaces of the screen of the remote machine. This issue is more often on thin client then other machines. 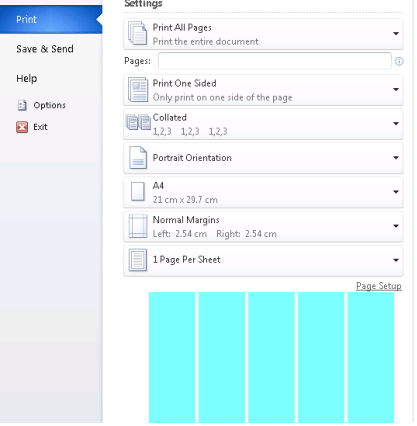 This issue can be resolved by disabling bitmap caching on the RDP client machine. 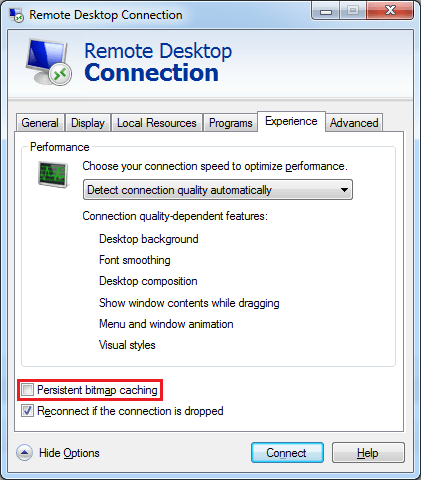 Bitmap caching is by default enabled for all remote desktop connections and it is used for enhancing the user experience on slow links by storing the often used images locally on the client machine.